Dirty clothes and/or poor hygiene. Sudden change in behavior, such as anger, depression or anxiety, with no known cause (e.g., illness, grief over a loss). Unexplained fear or fears of certain people or places. Refusal to go home, or escalation of behaviors when going home (or any specific location). 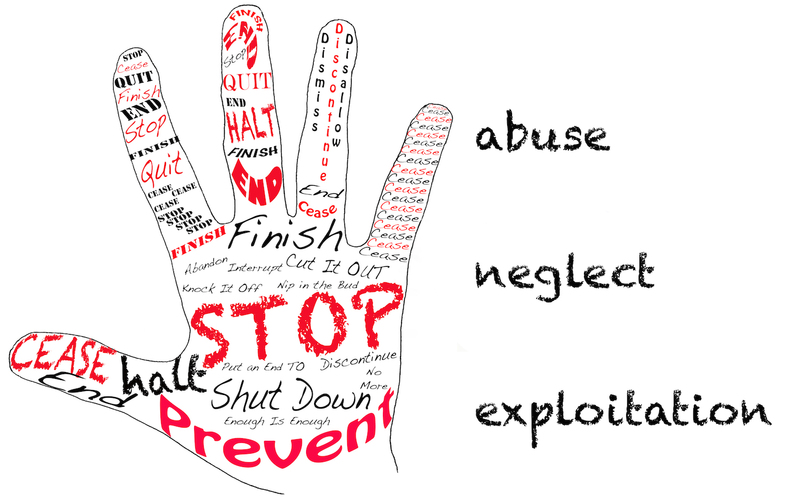 Recurrent complaints about house mates, caregivers, family members, or others doing things that cause distress. Flinching when touched or approached. References to punishment or threats of punishment (or harm). 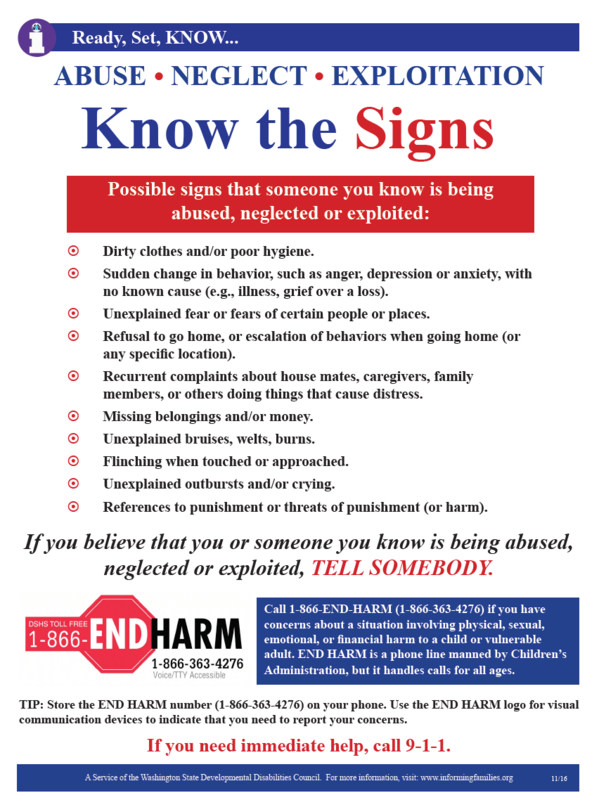 If you believe that you or someone you know is being abused, neglected or exploited, TELL SOMEBODY. 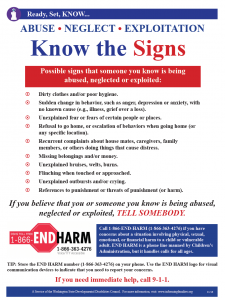 Call 1-866-END-HARM (1-866-363-4276) if you have concerns about a situation involving physical, sexual, emotional, or financial harm to a child or vulnerable adult. END HARM is a phone line manned by Children’s Administration, but it handles calls for all ages. TIP: Store the END HARM number (1-866-363-4276) on your phone. Use the END HARM logo for visual communication devices to indicate that you need to report your concerns. If you need immediate help, call 9-1-1.